Foundation problems only get worse! Protect your home with our Patented Products and 25-Year Warranty. A house is only as strong as its foundation. Unfortunately, poor soil conditions, changing seasons, and moisture in the soil around your house will stress your home's foundation by causing the expansion and contraction of the soil. This happens regardless of how well built your house is. 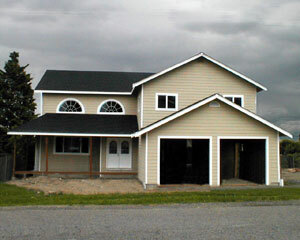 Only a foundation professional can determine if your home's foundation is under too much stress or needs repair work. If you've noticed cracks, leaks, or uneven floors, call your local Basement Systems to dealer to get a thorough foundation inspection. Call us today or click below for a free quote! Temperature fluxes cause the soil, water, and air around your foundation walls to expand and contract throughout the year, causing flexing against the wall and resulting in cracking. In some cases, the soil is wet in some areas around the foundation and dry in others. When this happens, pressure on your basement walls from the outside is unevenly distributed, forcing strain on some walls or sections of walls more than others and causing cracks. 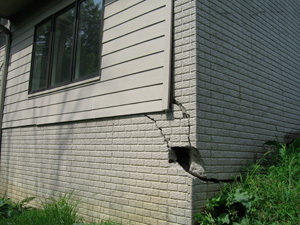 If you have any foundation issues, call your local Basement Systems dealer for a free estimate on foundation repair. Your foundation is too important to take chances with, so trust your local experts for all your foundation needs.